The attached photo of an early fan arm part number T-604, has this marking on the other side "S-F-Co." I assume this is the manufacturer. Does anyone know what is the full name of the company? Very common on early parts. Trent would probably know what it stands for. Believe the mark is Standard Forging Corp., Chicago. 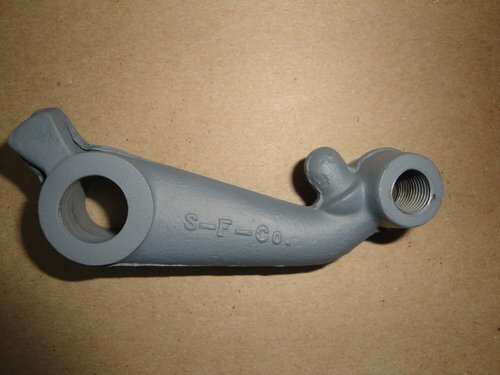 Similar S-F-Co marks in the Service Bulletins as approved vendor for T forged connecting rods. Standard Forging lasted a long while, got bought out by Trinity conglomerate, and was shuttered I think in the 1980s? There was a thought some time ago that led me to believe a similar one I have is a Scranton Forge Co part.